Cover bags or boxes of seedlings in the field or in transport to reduce heat buildup and stress. 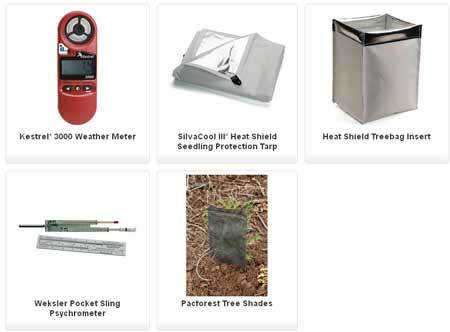 Proven successful for over 20 years, using the SilvaCool III* Heat Shield at your planting site or covering seedlings in transit is another inexpensive way to protect your trees from heat stress. 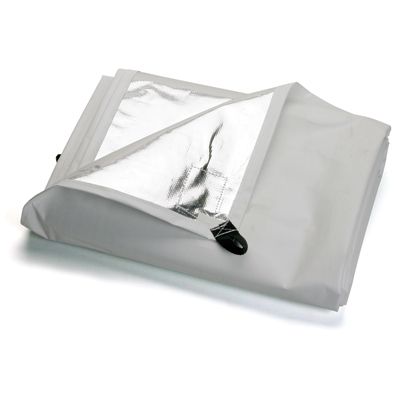 With the mylar surface down and white vinyl up to reflect solar exposure, heat buildup or "hot spots" underneath the tarp are dissipated. Likewise, but in reverse, any cool air that is present or that remains from cold storage is retained longer. • Rip stop mylar bonded to white vinyl will last for years without delaminating or tearing under normal conditions. • Comes with sewn in tie down straps. • 4 sizes to choose from. 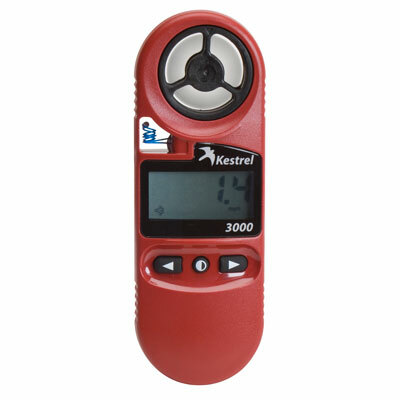 Very lightweight and accurate with two laboratory type thermometers, swivel handle and carrying case. 20 degree to 110 degree Fahrenheit scale. Replacement parts available. 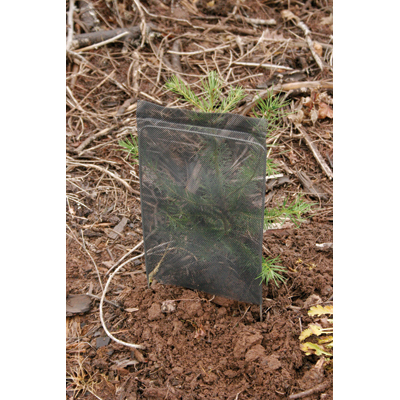 Introduced back in the 1980's, the commonly called "shade block" has proven effective additional "insurance" for seedling survival on harsh sites where intense solar exposure is a concern. Also referred to as a "wind screen" for it's effectiveness against dessication. Consists of two components: 1) 8" x 12" photodegradable, black polyolefin mesh envelope, and 2) a 12 gauge, brite basic, 18" x 8" x 18" (legs) wire wicket. Provides a shade factor of approximately 80%. Pin size mesh openings allow for wind passage. Mesh envelope will degrade in approximately 5 years. Wire wicket will begin to degrade in approximately 5 years. 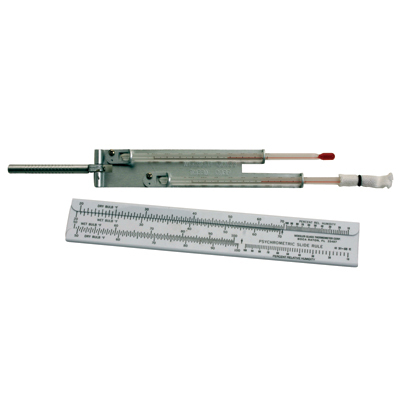 Both components come separately and require easy assembly. Mesh shade envelopes come in bundles of 25, boxes of 500. Wire wickets come in boxes of 250. Orders of 5000 pieces and above, please call for a quantity discount quote. Great for using in your home garden too! Solar backdrop when more heat is desired. Reusable! Store during the winter.